Today is the last day of the Himachal Olympiad running in Hamirpur in Himachal Pradesh. Himachal Pradesh Olympic Association (HPOA) president Anurag Thakur, who took the initiative to organize Himachal Olympics, said that India would do well in Olympics or other major competitions only if efforts will be made at different levels to promote sports in the country. By organizing these games, they have made a similar effort at their level. He said this kind of (Himachal Olympics) efforts are needed to promote sports. We have tried to make people aware about sports by doing so. There is a lack of competitions in the country, to motivate the players for better performance, there is a need to make a lot of competition in the country. There is a PPP (Platform, Participation, Perform) model of my game that players should be given a platform for engagement where they perform. Thakur also said that Himachal Olympics had received a great response from the people so that the players are getting motivated to play better. He said, “We will further focus on the lack of infrastructure in sports, lack of good coaches besides more shortcomings.” In the game in which the field is right, pay attention to it. Himachal will pay particular attention to those games in which Himachal can perform better. Asked whether these games will continue to be or will prove to be a once-awaited event, Thakur said, “Surely the event will be organized, yes, how many years it will be done, that is, one year, two or four years.” For this, we will take feedback from people and HPOA will make the decision given all these things. Asked whether Himachal Olympics will continue to happen or will prove to be a once-awaited event, Thakur said, definitely will be organized. Yes, for how many years it will be done, we will take people’s feedback. HPOA will make the decision given all these things. 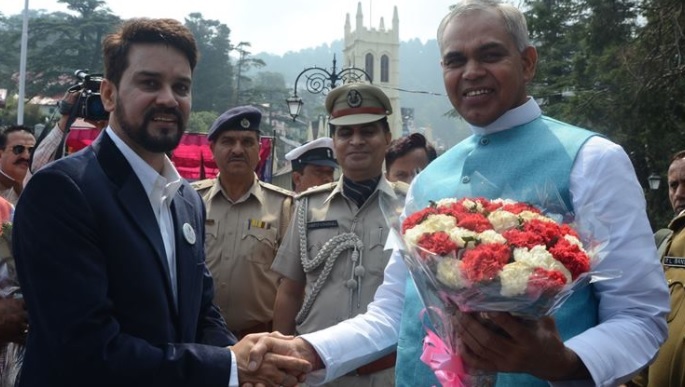 Thakur said about the possibility of organizing national sports in future in Himachal Pradesh depends on the cooperation of the state government. Current administration games policies are not right. If the incoming government expresses a desire to promote games, then HPOA will make a full contribution in that. The new stadiums are built to benefit the state and its players. The Himachal Olympic Games started on 22nd June and will be concluded today. In these games, teams from all the districts of the state are participating. The Himachal Olympic Games started on 22nd June and will be concluded today. In these games, teams from all the districts of the state are participating.